Casey smashes the idol, and things get complicated! The dichotomy of death/sacrifice for progression through the game and creating tension was tough on the designers of 9 Lives. We always wanted to create tension for the player who wanted to push it a little beyond just solving a puzzle and give others a reason to come back and play it again, and again! So when a puzzle is entered early on in the game we will show you what your objectives are and a little hint on how it can be solved. 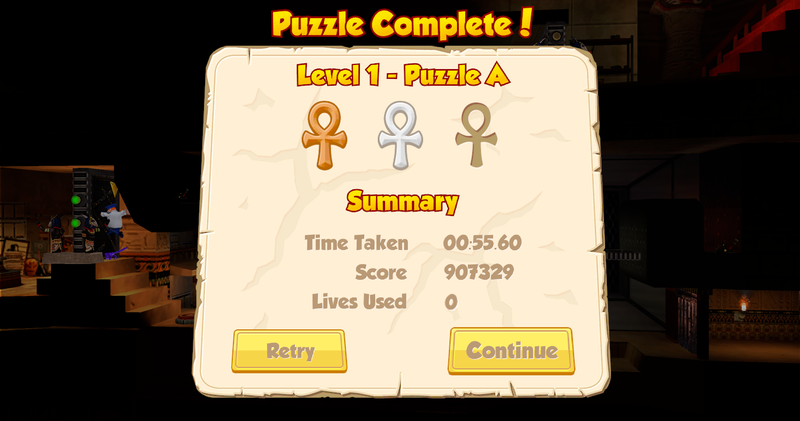 So if you are the type of gamer who just wants to complete the whole game quickly, then we have an easy way to beat the puzzle, more often than not by using some of Casey’s 9 Lives. But the flip of the coin is that you can get through most puzzles with one to no lives being lost, and thus making Sphynx a little happier. So if you spend a little extra time in each puzzle you will be able to increase your score by avoiding giving Casey some pain. Let’s take puzzle one in level 1. 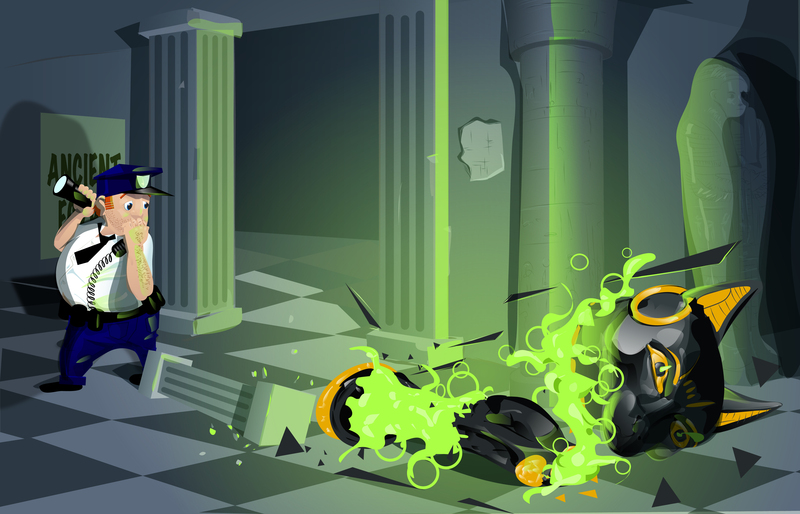 The immediate reaction of most players is to attack the spike pit and use a few lives to get across and then unlock the door. Easy enough at first glance, but not necessarily the best angle especially for Casey. Over on the right hand side you can see a switch that releases a platform that will enable Casey to jump across the puzzle without losing a life. The better you are at completing the puzzle without losing a life, the higher your points and thus the higher up the leader-board (coming soon) you will go.